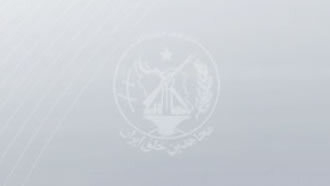 Iran, Jan. 15, 2019 - Members of Resistance Units, a network associated directly to the Iranian opposition People's Mojahedin Organization of Iran (PMOI/MEK), is reporting new measures in Tehran and Shiraz, two of the country’s largest cities. Members of Resistance Unit 112 in Tehran set fire to a large poster of Iranian regime Supreme Leader Ali Khamenei. They took footage of their brave measures and went on to post it on the internet. In Shiraz, members of Resistance Unit 97 targeted the entrance of a Revolutionary Guards (IRGC) Basij base located on the city’s Sanaye (Industrial) Boulevard near the Mirzay-e Shirazi Avenue. These brave individuals are risking their lives considering the fact that if arrested they would face detention, torture, long prison terms and even execution. The Iranian regime considers any support for the PMOI/MEK as punishable by death. These measures are also sounding alarm bells among Iranian regime officials about the PMOI/MEK resistance units and warnings about the threat of another uprising sweeping the country. These warnings continued at an even more significant level. Coinciding with the first anniversary of the Dec/Jan uprising, officials and figures across the board in this regime are now expressing escalating concerns over a new and far more expansive uprising sweeping the country in 2019.